A secluded, peaceful retreat located in the woods outside Narrowsburg, NY. This circa 1951 timber frame is a design & antique lovers dream as it's owned, styled and furnished by the woman behind Maison Bergogne. With 3 bedrooms and 1.5 baths (complete with outdoor shower overlooking the river) this rustic getaway is ideal for a couple or a small group of friends. Soak up the quiet of the woods around you or venture into town (only 3 miles away) where you'll find renowned restaurants and shops. An abundance of hiking and fishing are located nearby as well, so you'll have no shortage of activities to fill the weekend days. Surrounded by rolling hills and small family farms, this thoughtfully renovated farmhouse will take your breath away. A mix of unique antiques and modern pieces fill the interior of this sunlit home. With 4 bedrooms and 2 baths, this is a perfect space to gather your friends and spend the weekend relaxing, catching up, and cooking in the gorgeous kitchen. In the spring the scent of lilacs waft through the windows and the front porch is the ideal spot for a glass of wine during sunset. Located in Upstate New York in Sullivan County and the Delaware River Valley, Milk Barn is legit as hell. The main house is a renovated dairy barn with three bedrooms, a massive living space, perfect kitchen, Game of Thrones worthy fireplace, and a grotto and sauna that are, actually, what your dreams are made of. 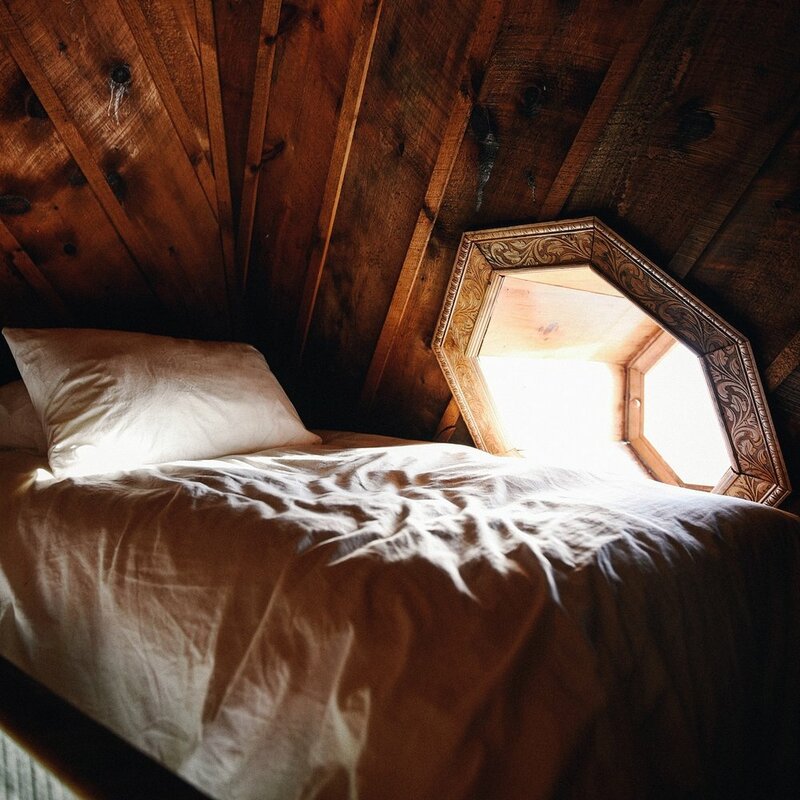 There's also a secondary guest room attached to the main building that has a separate entrance, plus there's a freestanding cabin with a tiny little lofted nook and a bed and fireplace down below. Up by the pond, you'll find newly redone glamping cabins that are white washed and ready for summer. Sprawling across 15 acres, you can make as much noise as you'd like while also having about the best time you can image. Highly recommended. Located smack dab in the middle of the Catskill Mountains, this contemporary lodge is the ideal base for exploring the region. Every guest room is unique and filled with thoughtful details like custom furniture, vintage rugs, and gorgeous terra cotta tiles. Most rooms have a view of the mountains and a private deck while some other rooms have a fireplace and lofted sleeping area. The on site restaurant is so so good and be sure to take advantage of the many outdoor fire pits. In the summer you can sun bathe or swim in the outdoor pool which of course has killer mountain views. 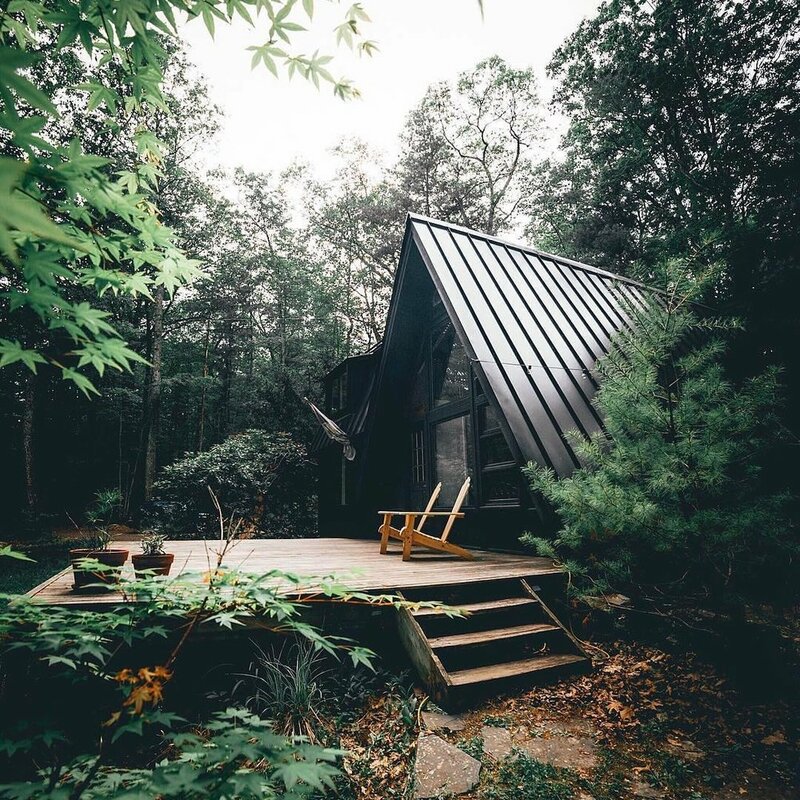 Not only is this A-Frame in the heart of the Catskills very nice to look at, it's also off-grid and solar powered. Recently renovated and full of stylish interiors, this cabin is a great way to experience an off-grid retreat without sacrificing modern amenities. The property has a spring fed pond and an outdoor gazebo with BBQ and fire pit, making it the perfect spot for a carefree summer weekend. The floor to ceiling windows in this newly renovated cabin let in so much light you'll just want to lay and bask in it all day. But make sure you sit up in time to catch the sunset over the Catskill mountains! Just out the door are 23 wooded acres as well as a private meadow and an outdoor dining area. The home owner's restaurant is only 10 minutes away so make the short trip to grab lunch or dinner during your stay. At Glen Wylde you'll find eight 1940's era modern rustic bungalows that have been thoughtfully restored. Each bungalow is unique and has either 1 or 2 bedrooms, a full kitchen, and cabinets filled with games and books. The grounds have picnic tables, lawn games, communal fire pits, and a path that leads into town where you can grab an ice cream after dinner. This lovingly restored barn in the Hudson Valley offers a warm, peaceful escape from life in the city. Super spacious and filled to the brim with perfect reading nooks, you'll want to cozy up and spend the entire weekend lounging in front of the wood stove with a good book. The open, sunlit space can fit up to 6 and you'll probably have to fight for who gets to sleep in the dreamy loft. The grounds are beautiful with a swimming hole, yoga platform, and outdoor dining area next to the pond. Rustic, for sure. These cabins are cute as can be (there are two cabins and one tree house) and perfect for spring, summer, and early Autumn. Winter might be cold, but if you know what you're getting in to, it could be magic. Perfect for that trip where you want to getaway and connect with humans rather than the internet. The stained glass is charming and there's so much beautiful natural light. Two per cabin. You're camping, but you're not really "camping," you know? You've got tents, waterfalls, and a composting toilet so you should be fairly set, but you're also not that far from Livingston Manor and the best wine shop around. Off-grid, simple, it's a vacation that wants to give you the space to vacation. Be sure to read up on all their amenities because you aren't going to be roughing it.